I still have a bunch of Nexo Knights sets yet to be reviewed; LEGO definitely kept their committed to the series up for the start of year 2.
my name is rey and i have been following your channel for quite some time. i find your reviews very informative. fair and unbiased. 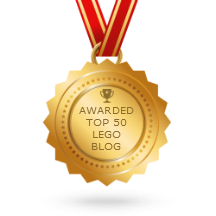 highly entertaining.... i'm really not a lego collector, i owned maybe five little sets in my youth and that was it. i truly enjoy your passion for legos. amazed by how much detail goes into your MOCs (i especially like your mall) watching your city scape change and expand, listening to you waxing poetic. your uploads are a pleasure to watch and listen to. i find it amazing how you articulate things in such an eloquent way. but i digress, the reason i'm writing you is because i needed a little help. 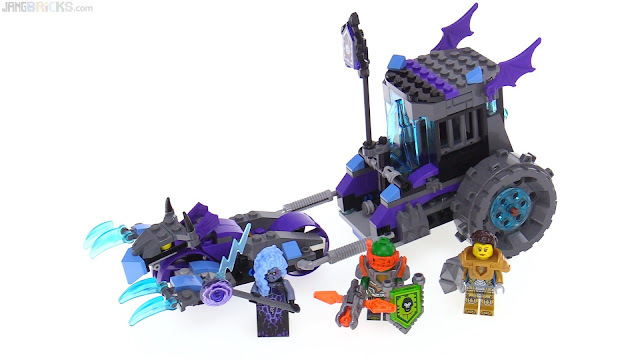 i have a four year old son whom i recently introduced to the world of nexo knights. so i was wondering if you'd be interested in helping a dad make his son happy =). basically my problem is that my son was politely asking me for his knights hair pieces (to play with without their helmets). i honestly don't know where to get them ... i tried bricklink, brickowl and another one. but i find myself confused while trying to navigate their site. so anyhow, i know it's a weird request ... but perhaps maybe you'd be willing to sell me mini figure hair for the knights?!? but any how ... thank you for pumping out videos, one after another. i do take your reviews as gospel for making informed decisions on picking which set to get for my kid. that battle layout you have for year one nexo knights was awesome!! !